Are you, like many others confused about online marketing? Or how about SEO? Do you wish your website was number one in the search engines? 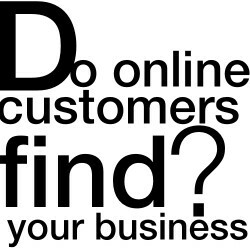 These are all very common questions for those with online businesses. The fact of the matter is online marketing and basic onsite optimisation (SEO) increases ROI, and get’s you branded online. Of course we can’t forget about Social Media. Are you tired of having to update your social media profiles every day just to keep up with the rest? You, the business owner has absolutely zero time to see to these types of things. You have one very important job and that’s making sure your business is successful – leave the rest to us! 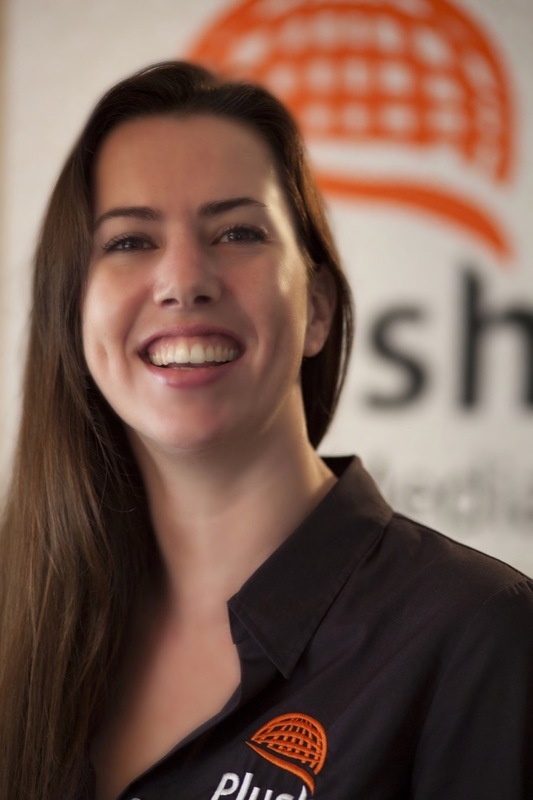 Plush Global Media is a one-stop shop for all your online marketing needs including social media management, Web Design, content writing & optimisation, Video marketing, 360 degree virtual tours and a lot more. At Plush Global Media we have over 15 years combined experience in online marketing and multimedia services; and we’ve got the portfolio to prove how serious our business is. Stop wasting time worrying about online marketing or a social presence and pick up the phone and give us a call. Our professional and experienced team of online marketers will deal with your online marketing like it was their own, and you will soon find your online presence stands out from all the rest! Have you ever wondered why your business does not show up in Google? Or perhaps your business is on Google Maps but the location is wrong? When it comes to putting your business on the map, especially within Google, we understand how confusing it can be. Many don’t understand or know if they should choose a business page or a brand – our services extend to helping you, the business owner online. Is your business on Google Street View yet? 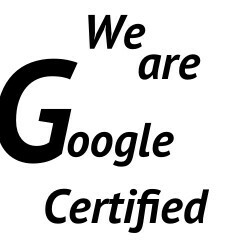 Plush Global Media is a Google Certified Agency, therefore we are fully certified to make sure your business is on Google Street View. Besides virtual tours, Plush Global Media helps you with more than multimedia. Our client services also extends to several additional online help. If you are a small business, and you are unsure about how to set up social media accounts to take full advantage of your virtual tour – we can help! We are happy to assist you in setting up a Google+ page, embedding your virtual tour on your Facebook business page, and on your website. If your business isn’t properly mapped on Google, we can help with that too. We make sure the map marker is placed where it needs to be, so your customers can find you. Plush Global Media is all about customer service, and we pride ourselves on lending the extra hand our client base needs in order to succeed online. Salamanca is the home of luxury cars in San Pedro Alcantara. This was a rather unique case, and virtual tour. One thing well worth mentioning if you are only in the decision process about getting your very own virtual tour for your business is how many online views you can expect in only the first month. As case study, Salamanca, in only one month, received over 1000 views on Google Maps. What’s even more interesting about the Salamanca case is how we decided to test out our virtual tour camera and push the limits. We chose a luxury Bentley, and placed our camera inside the car. The virtual tour of inside the car was amazing, and immediately received over 300 views in just 1 week! Our virtual tours are indeed the best in Marbella and the whole of the Costa del Sol. Because we are a Google Certified Agency, we ensure your business will get noticed online. Prospective clients want to virtually visit your establishment, and statistics show that more than 70% of mobile users will view your establishment on a map and once they see you have a “see inside” function, they will use this to explore your business. A good website is key to your online business success. These days, over 90% of your visitors wil have checked you out online before they came to visit you. 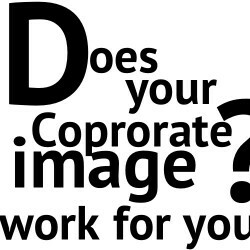 Wether it is on social media, through review sites or your own website, you will have to make sure your online image is inviting and enticing for your visitors. Our web designs are unique and original at minimal cost! We understand it can be expensive to design your own website, not to mention, it can take months to finish a site in some cases. Plush Global Media has been designing websites for national as well as international clients for over 10 years and we have evolved with times, this means that we can now produce responsive, fully optimised websites that are original and delivered in record time and at a fraction of the cost our competitors charge! Don’t believe us? Request a FREE quote today and find out for yourself. Web design for real estate is one of the areas we have focussed on in the recent years. It is difficult for Estate Agents to compete online in a saturated market, so not only does your website have to be unique and original, it also needs to be easily manageable so your content is always fresh and not duplicated from all the other agents in the area! This is what we focus on for Real Estate Websites. After all, content is king, and you need fresh and unique content to ensure the search engines find you! There’s nothing more satisfying then receiving your first online order for your store! We know how important this is, and we will do our upmost to ensure your site is found by online shoppers, even in this incredibly competitive world of online retailers! In this day & age, people will check everything out online before they book a table or room in your hotel. Especially if your establishment is located in a tourist hot-spot, the competition can be fierce, not only your local competitors, but also the likes of Booking.com, Tripadvisor or open table can make it difficult for you to rank online. We specialise in SEO and web optimisation, and we will make sure your site is built properly from the start so you can stay ahead of your competition. 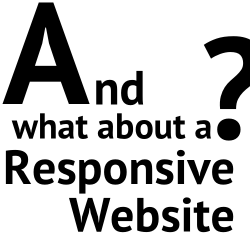 Our company is versatile and we build sites for practically any industry. We are not just developers, we will really look at your site and research what will make your client tick, click and convert. Wether it is a contact form you want them to complete, an item you want them to buy or a newsletter you want them to sign up for. We know how to make it happen so all you have to focus on is attending to the leads that come in! Perhaps you are selling your luxury property and want to be found online by potential buyers. You want to do your own marketing instead of depending on expensive services from real estate companies. Real estate agents will happily take your property on their books and even put a lovely picture in their office window. But, you don’t want to be just another property “hanging in the window”, among thousands of others! You want to stand out from the rest, and give the viewer just 1 option, your property! We specialise in online luxury villa marketing, which includes an extensive list of services all designed to sell your villa in a short amount of time. Advertising, multimedia, websites, branding; these are just a few of the services we provide specifically for your villa project. We will make branded promo videos like the one shown here, which includes making high quality still images and HD virtual tours of your property. 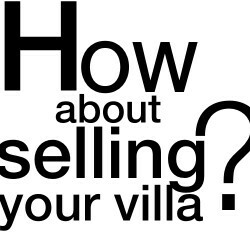 The brief for Secret Villa Marbella was plain and simple; design an awesome website, create beautiful multimedia but above all, sell our property! The Secret Villa has been on our books for just over 1 month, and all the designs and multimedia was finished within just 3 weeks. After 1 week of online advertisenemt using social media channels and Google Adwords we managed to obtain 15 serious leads for the owners of the Villa, and we’re still counting! Nowadays nothing is more important then to be found online when clients search for your product or service using specific keywords. Not only is it important to have a great looking website along with catchy multimedia; but you also need to optimise your site and even your multimedia including all social channels. Search Engine Optimisation (SEO) and Social Media Optimisation (SMO) can, if executed correctly, increase business sales, ROI, and leads up to 50%. Every new client will receive a free audit and competitor analysis before they start working with us to show them what their current online position looks like. Do you have a website, with lots of content, but you find your clients do not stay on your site like they used to? Have you realised, even though you have written it all out on your website, you still get the same questions from your clients about your products? The online world has changed over the past years, and the attention span of online users is getting shorter by the minute. To stand out and keep your visitors interested, you are going to need visual media that is interesting, keeps the viewer engaged, and most of all, brings you new clients. It’s time to kick that high bounce rate to the curb! At Plush Global Media we take care of all your Multimedia, whether it is a simple virtual tour showing off your premises, a logo animation on your site, a promotional video with owner interview or a full blown commercial. We take care of all your media needs in-house and with passion! Our Multimedia Team is creative, innovative and is not afraid to try new and exciting methods to make sure your brand stands out from the competition. Be Unique Belts is an online shop for well, Unique Belts! They needed a creative and original promotional video, to show off their home made custom jewellery belts. They wanted to tell a story with this video, something that would show the client why wearing their jewellery belts was a must for any female party lover. Because the client was on a budget, we arranged for wardrobe and venue sponsors, and even some of our employees volunteered to model for the shoot. The internet is by far the best thing that happened in the 20th and 21st centuries. But, one unfortunate drawback is how eternal it is. By this we mean, the internet is forever, and we understand how one bad review likely written by a disgruntled employee might break you. That being said, if you or your online business has received some negative or inaccurate reviews lately, and you notice they keep showing up in the search engines every time someone searches your business, it’s not the time to give up – it’s time to fight back. Even if it’s your personal name under attack, letting it go won’t win you any contests. If you’ve made mistakes in the past that your clients are finding whenever they search your name, we can help you. You need to take action now ensuring your name or brand shows up by creating and promoting positive content that you fully control. 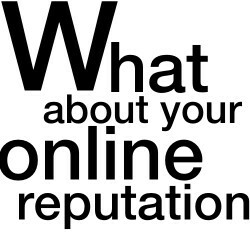 Let Plush Global Media help you control what appears about you online, ensuring the first few pages in the major search engine show only positive and interesting content about you, your employees, your business and even clients.